SNAFU! : Russia to develop an amphibious combat vehicle variant of their Boomerang 8x8! 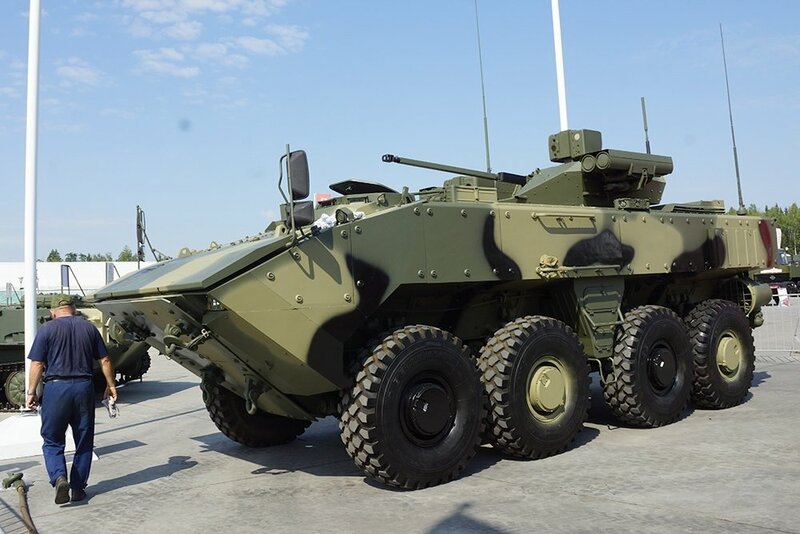 Russia to develop an amphibious combat vehicle variant of their Boomerang 8x8! Most everyone knows that I monitor Sputnik, DESPITE the complaints that it's supposedly "fake" news. I find that puzzling. The US govt and military has been complaining about Chinese and Russian govts not being open about their military news and here we have it on a plate and MANY are still not satisfied! Amazing isn't descriptive enough. How about being baffled! That better expresses my feeling on the subject. But back on task. An amphibious version of the Boomerang 8x8? Sounds formidable. I like it. Even better they're looking at the ability to mount different weapon systems on it. It also dawned on me about the 57mm cannon that's being trialled. We've seen the issues with the 120mm when utilized by the Stryker. 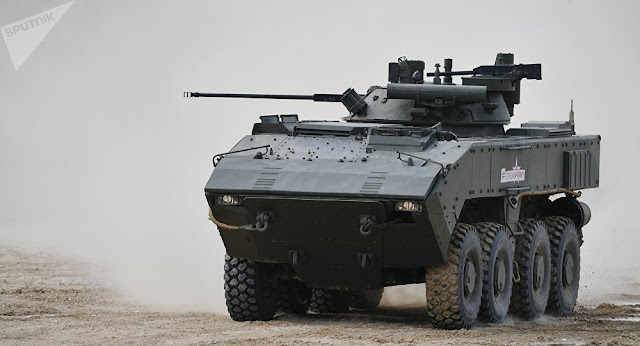 I know they've managed to develop setups that work on wheeled vehicles like the Centauro and the Japanese MCV but what if a better solution is a smaller caliber that can accomplish all the other missions EXCEPT engaging enemy MBTs? The only question I have is it's ability to defeat enemy fortifications but against any vehicle short of a modern tank it will be deadly into the distant future. The rate of fire will defeat APS that's gaining popularity and it will have enough rounds available to stay in the fight. When by chance it does meet MBTs it will have ATGMs available to balance the engagement. This is steady improvement. Sensible development. The armor race is on and the Chinese and Russians are winning.